Osmocote is a brand of slow release fertiliser that has been used by the professional horticulture industry for generations, and is now available to you to buy online from The Garden Superstore. 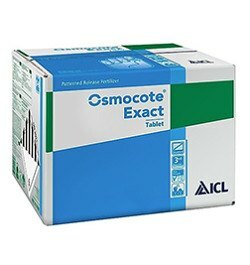 Osmocote’s steady release of nutrients, in small quantities everyday, has made it the preferred choice amongst professional growers. Either in granular form mixed into your potting mix or by tablet form pushed down into the growing medium, it is activated by temperature and moisture to deliver the best possible growth results. Because it is a controlled release fertiliser, you use less of it, meaning you save money. It doesn’t overfeed your plants, and because of the small quantities they get everyday, it’s also hard to underfeed them too. 3 - 4 month formula: ideas for bedding and patio plants. 5 - 6 month formula: ideal for shrubs and container plants. 8 - 9 month formula: ideal for strong growing plants and trees. Since it's introduction on our site, Osmocote has been hugely popular with gardeners who are now able to use this professional product in their gardening ventures. *Osmocote is a professional grade gardening product. Use safely. Read the label and product information before use.